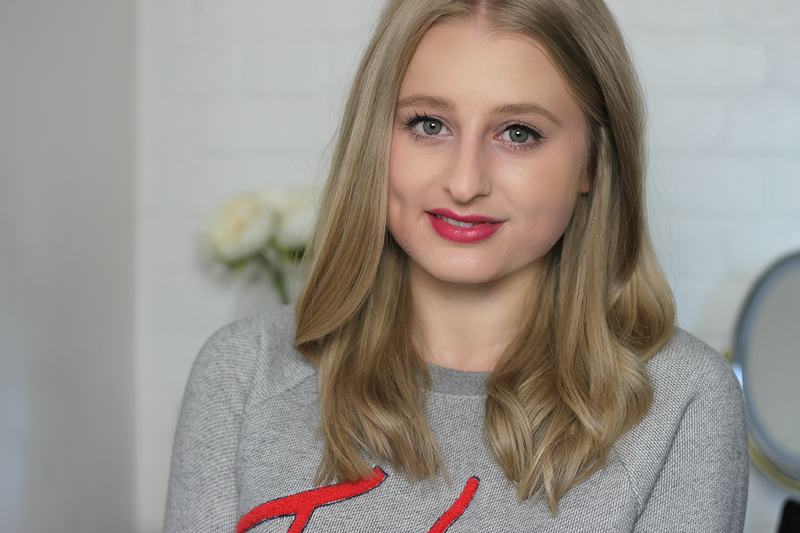 Eye wise, they've been slap bang on point - to the point where one product has given the whole blogosphere something to chat about. That just so happens to be my most recently bagged of the pair, the They're Real Push Up Liner - a fool-proof gel pen that makes lining a breeze, even for the most winged flick scaredy cats among us. Pre-purchase, I had a feeling it would be a formula-soaked nib just like the liquid liner type - nope, it's a pretty hardy 'Accuflex', skinny tapered triangular tip with a slit that dispenses the jet black gel through the twist-up click stick, meaning there's no chance of it drying up like the latter mentioned - plus the screw top lid keeps things extra secure. Their biggest claim is that it's the first lash hugging gel liner pen of it's kind - snug lash hug it does, but a debut gel liner pen? I think Maybelline's Lasting Drama Gel Liner Pen may have beaten them to it without them even clocking. Did someone say dupe? 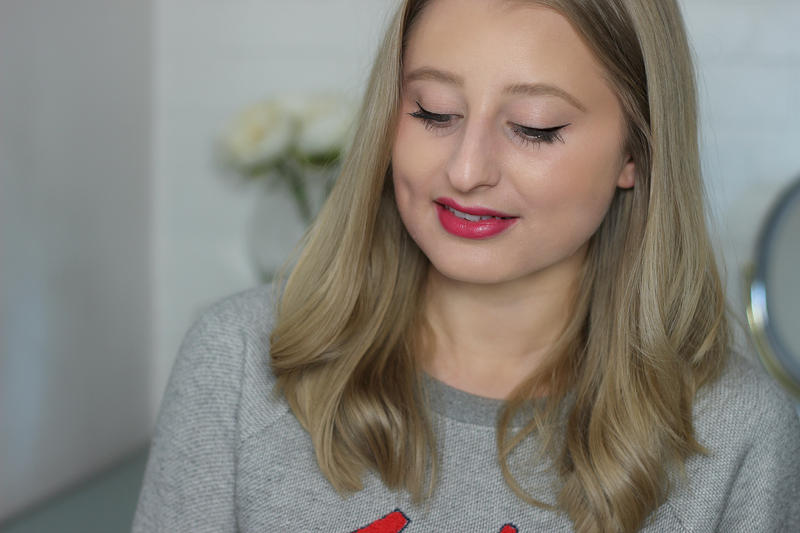 I've found manoeuvring the tip flat against the outer corner at the correct angle allows for your flick, then swept along the upper lash line fills between the roots for the most perfected edge to make eyes appear a whole lot larger. Formula wise it's hella matte pigmented, long wearing and waterproof. Side note: It can be a little smudgy if you're clumsy upon application, but once set, it's set there to stay. All. Day. I actually dreamt about the new Benefit Push Up Liner last night, now that's good marketing! I've been hearing mixed thoughts about the liner, I guess each to their own! I definitely want to try Gimme Brow though, I really feel like it would help out my very sparse brows! 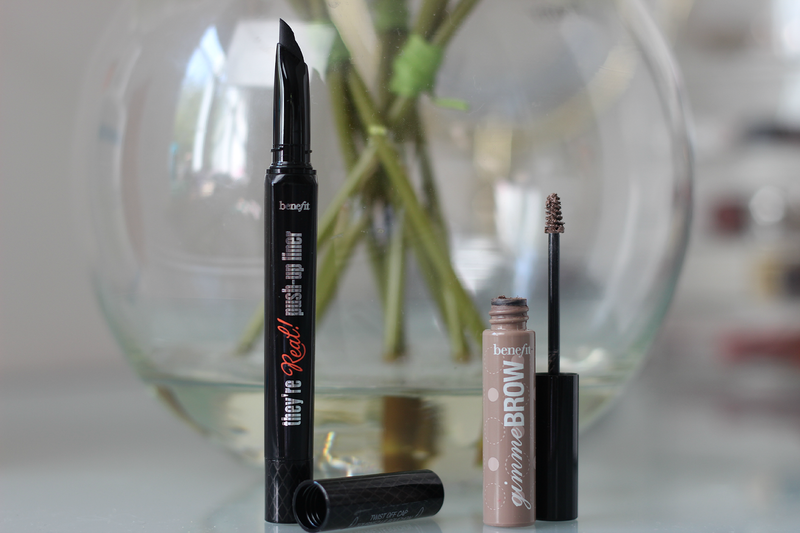 I have had both of these tried on me at the counter, I wasn't impressed with the liner as it smudged on my brow bone within a couple of hours but I think I will purchase the Gimme Brow. I regret not getting the Gimme Brow at Winners (TK Maxx) back in May! I have tried it in Sephora just a few hours after that and loved it! And when I returned to Winners, of course it wasn't there anymore!